miniOrange Fraud Prevention product uses device, location, time of access and user behaviour to minimize the risk of improper data access or loss of information. 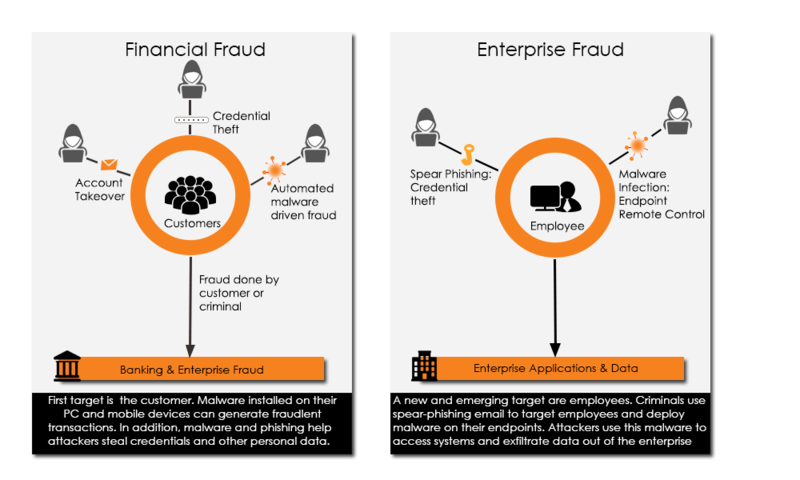 miniOrange Fraud Prevention product dynamically analyzes user requests and apply business security policies to application access which minimizes the risks of unauthorized access. 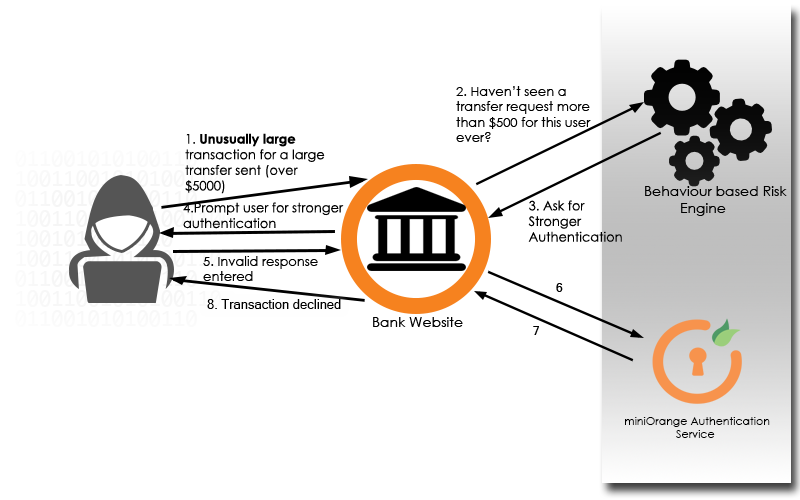 miniOrange Fraud Prevention complements the existing traditional access controls by using contextual elements (e.g. device, location, time of access and user behavior) to allow for a more dynamic policy decision. IP Restriction is one such method in fraud prevention to restrict access within a network. Click here to check an example to restrict access to Google Apps. With increasing user mobility and more ways to access corporate applications and data by more users, access security requires more intelligent controls to assess overall business risk prior to authorizing access to this information. Fraud Prevention provides the ability to dynamically analyse user requests for corporate information and apply business security policy to application access to minimize the risk of improper data exposure or loss. Fraud Prevention uses both device fingerprints and behavioral data to come up with a risk score, based on which you either permit or deny access. This risk score would become a second factor in authentication, the first factor being passwords or any another "normal" authentication. The risk score can also be used to determine if further information is needed from the end user to complete the transaction. Traditional access control environments use static credential details like group and role membership and extended profile attributes to make a policy decision. Using context (device, environment, identity, resource, and behavioral patterns) takes it to the next level. Fraud Prevention complements the existing traditional access control by using contextual elements to allow for a more dynamic policy decision. The contextual elements are used to calculate a risk or confidence level for the current user’s transaction. The risk/confidence level is used as input into the final policy decision. Improves end user experience. Appropriate second factor challenges are presented based on overall risk. Eliminates the need to a fixed approach that forces more frequent user authentication. Provides a dynamic access security model that adapts to user and/or transaction context. Authentication adapts based on the user’s location, behavior, the device fingerprint and/or user’s settings. As users can connect via mobile devices, via cloud, or within the company’s IT security zone, the most appropriate authentication method can be selected. Improved custom application security approach. Fraud Prevention provides the ability for custom applications to call a common security service via a web service interface. Consistent security policies across line of business applications with a central policy can be created. Provides ability to customize the assessment of risk. Users can add device characteristics and context attributes through custom and/or 3rd party solutions. Custom context attributes can be added to the risk calculation. Can reduce custom application development costs as well as provide more agility in managing risk. Fraud Prevention, as a web service, eliminates the need for each custom application to develop specific security access methods. The Fraud Prevention service can provide better flexibility in addressing new user access patterns (e.g. mobile, cloud). How access and authentication is performed using miniOrange Authentication Service? Access Manager for eBusiness validates user. 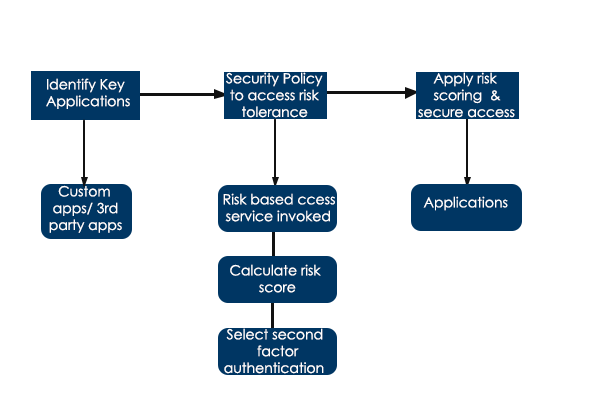 The Risk Based Access Service is invoked, as the application being accessed is a protected application. The Risk Score is calculated (location, device type, transaction amount are examined). Given the use of a mobile phone and the transaction amount, the policy will drive a second factor authentication method Personal Question). User is prompted for this question, answer is validated, and transaction processing completes. Known device, Known user - Risk should be low and no obligations should be thrown. If I change my browser but the device is the same no challenge should be invoked. If I change my device, then challenge should be thrown. System changes (i.e., actual device related changes), such as plugins upgrade, fonts upgrade etc - no challenges should be thrown by default unless manual change of weights have been done by system admin. If access is from a Registered Location, then no obligation. Earlier temporary but now registered location – Do not throw obligation any more. What constitutes a device fingerprint? What forms a behavioral pattern? Is User Registered API - checks whether the user is registered with the miniOrange or not. You will need to include 5 JS files (provided in the package) in your web page: client.js, swfobject.js, fontdetect.js, ua-parser.js, miniorange-fp.js. Also you will need to copy other SWF files (provided in the package) to the js folder of your web application. Create a directory named "js" inside the folder which contains your web page (the page where you will be including the JS files. Copy all the JS and SWF files under this js directory. Import all the JS file in your web page. For eg. NOTE: Notice that all the JS file included at the end of the webpage and the order in which they are included. customerKey String Customer ID you sent in the request. message String Additional message related to status. Step 1: Import miniOrange JS/SWF files in your web page. Collect details like phone number, alternate email, security question/answer from your verified user and call miniOrange Register User API along with these details. SUCCESS This status is returned when the risk is low and you should allow user to continue his process. WAIT_FOR_INPUT This status is returned when the risk is high and you should challenge the user before he continues his process. You will need to call Challenge User API to challenge the user (explained later in the document). You can check which kind of Obligation user will face when you call miniOrange Challenge User API (Obligation types provided below). DENY This status is returned when the risk is too high and you should Stop user's process. ERROR This status is returned when an error occurred while evaluating the user. In this case verify that you are calling the service properly. Or you can contact miniOrange regarding this. SMS In this obligation type user needs to enter 6-digit OTP sent to his registered phone number. EMAIL In this obligation type user needs to enter 6-digit OTP sent to his registered Email. OUT OF BAND SMS In this an SMS containing the Accept/Deny link is sent to the user's registered mobile. You'll have to wait for the challenge API response to find out if user accepted/denied. OUT OF BAND EMAIL In this an EMAIL containing the Accept/Deny link is sent to the user's registered email. You'll have to wait for the challenge API response to find out if user accepted/denied. KBA In this obligation type user needs to answer the security answer that he had configured during registration. customerKey String The customer ID you sent in the request. userKey String The username (email) you sent in the request. status String Overall status of the request. When Evaluate Risk service sends WAIT_FOR_INPUT status, you should call this service to challenge the user with the obligation type returned by the Evaluate Risk service. If the user was challenged, you may need to submit the response provided by the user to miniOrange for validation. 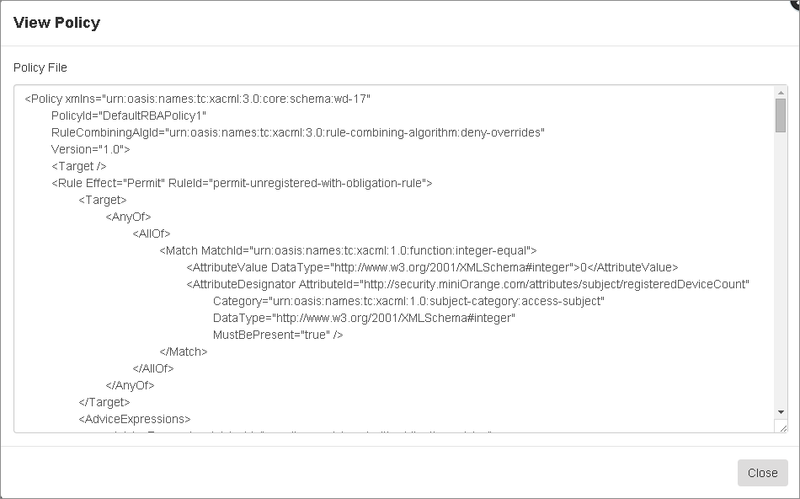 For example, in case the obligationType returned by the Evaluate Risk API was KBA (Security Questions), you will need to submit the answers provided by the user to validate the user. Or if the obligationType was SMS, then you'll need to submit 6-digit OTP entered by the user to verify. NOTE:Either otpToken or kbaQA must be provided depending on the obligationType. registerProfile Boolean Send TRUE if user selects (Checkbox checked by user) to register this device on challenge screen. As far as browsers are concerned, Firefox provides the most identifying information, followed by Chrome and IE. Android and iPhone browsers are among the most difficult to fingerprint, because of fewer plugins and hard to detect fonts. How Unique Is Your Web Browser? TTL value is nothing but a simple code assigned to the out going data packets by the operating system of a computer. The TTL value assigned to the out going data packets depends on the operating system and it is the same for a particular operating system. Each router decrements its value by 1 when datagram passed through it, until TTL reaches 0 after which it is discarded. In circuit designs, clock skew (sometimes timing skew) is a phenomenon in synchronous circuits in which the clock signal (sent from the clock circuit) arrives at different components at different times. So there is drift between sending register signal and transmission register (due to factors like interconnection wirelength, temperature etc). How to manage basic policy configuration for fraud prevention? To add a new policy for fraud prevention got to Fraud Prevention -> Basic Policy Configuration and click on Add Policy tab. Enduser's device profile is stored. When device for a policy is enabled, the Enduser's device will be matched to	previously registered device for that user. The Enduser will be given an option of adding new devices. You can configure location, by allowing or restricting Enduser's login. Check "Allow all locations" if you want to allow all locations or you can allow or deny some specific cities to have access/restriction to login to miniOrange Self Service Console. Location of an enduser can be registered by clicking on the checkbox against "Register Location if user completes challenge" in Location Configuration, now if the enduser logs in from an unregistered location or logs in from a location which is not allowed, a challenge is thrown/denied access to login. You can restrict/allow Time of Access for your endusers by selecting time interval in which enduser is allowed to login. Suppose time of access setup by admin is 10am to 6pm, in which login is allowed, now if an enduser tries to login to his account before 10am/after 6pm, then access is denied to login or challenge will be thrown. You	can set what happens if your Enduser's behaviour changes. Here behaviour change could be Device, Location or Time change. There are three options: Allow, Deny and Challenge. Click on Save button, to add this fraud prevention policy. To View a policy for fraud prevention go to Fraud Prevention -> Basic Policy Configuration. Here you can see list of Policies. You can edit your pre-configured policies, by clicking on Edit link. How to turn on Fraud Prevention for a group? To turn on fraud prevention for users navigate through Policies tab and select View Policy. Select the group for which you want to enable fraud prevention. Click on Edit link. Check the Enable Fraud Prevention check-box and click on Update button to save settings. After enabling fraud prevention, you need to add fraud prevention policy for this group to enable fraud prevention. How to do attribute configuration? You can add Risk Weightage between 1-100 to Attributes like Accept Charset, Accept encoding, Accept language, Browser Fonts, Browser Plugins, Browser Screen, Browser Timezone, Device Platform, HTTP accept, Location, User Agent. 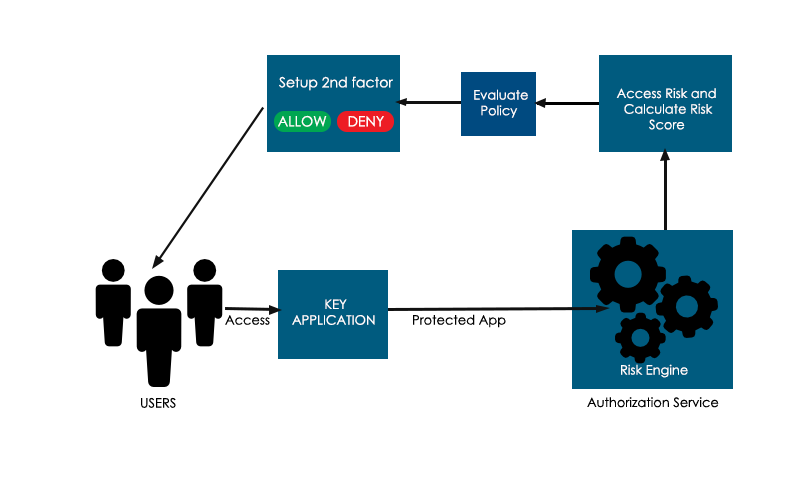 How to do Risk Policy Configuration? First select a profile from the Dropdown. Then select policy combining algorithm. First Applicable: If first policy evaluates to permit, the policy combination evaluates immediately to permit otherwise deny. Permit Overrides: If any policy in the set evaluates to permit, the policy combination evaluates immediately to permit. Deny Overrides: If any policy in the set evaluates to deny, the policy combination evaluates immediately to deny. Permit Unless Deny: It is intended for those cases where a deny decision should have priority over a permit decision. Deny Unless Permit: It is intended for those cases where a permit decision should have priority over a deny decision. Ordered Permit Overrides: It is identical to that of the 'Permit-overrides' with one exception. The order in which the collection of rules is evaluated matches the order as listed in the policy. You can view Default Policies for different policies. you can also pick addition policies. Click on Save the risk policy. What is XACML based policy authoring? When you do a risk policy configuration and Save the changes, you can view this profile under View Policy Profile. Here under Action column in View Selected Policies click on Tweak. The dialog box that shows up, is the XACML based policy. You can configure it according to your requirements. Our risk engine automatically learns user behavior and does not prompt for stronger authentication for known user actions. Our risk engine can be tuned to prevent emerging security threats as and when they are known. When all other security methods fail, our dynamic security engine based on user behavior can detect and prevent fraud.